An entire page about Michelle & Marty... woohoo! 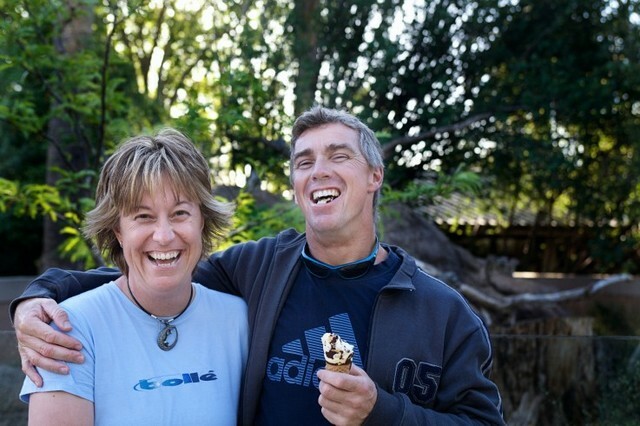 We are Michelle & Marty, the husband & wife photographic team known fondly as m&m. I realise this is a chance to grab your attention and tell you all about us and our crazy lives, how much fun we have, how much we love ice-cream (obviously), how excited we are to photograph weddings and why you definitely have to book us. Truth is, it's really a difficult thing to do. I can tell you that I'm passionate about photography and I am. Over the years I have tried other supposed "real jobs" but the camera has always called me back to it and I'm thankful for that. I could go on and on about how we met, how much we love spending time together, use lots of artsy fartsy language to tell you how We describe our photography and style when the fact of the matter is that it only matters how You see our work and if You love it! BUT... already there are too many I's being used and we really want to know more about You. You have a story to tell and we will do everything we can to tell it better than you ever imagined possible. We are a team, just like the two of you! We believe in getting to know you, understanding what is important to you and delivering an exceptional experience that becomes more than just having someone take some pictures. This is what we do; not just for fun, not for some extra spending money but as a career. We take tremendous pride in the photographic quality of our imagery but also in how we handle ourselves as people. Our style isn't something to define, it is simply an extension of who we are. So, bring your smiles, your laugher and your story, and some ice cream if you like. We invite you to get to know us and maybe play with our silly dogs, Yogi & Boo Boo. Come see why we would love to be a part of your wedding! We can't wait to meet you... thanks for listening.